It wasn’t until I had looked at this picture five or six times that I realized that the students are forming a question mark. That leads me to believe that I must have shot the picture for a “What’s going to happen to Kage School?” story. Since the school, which was established in 1880, closed May 20, 1966, exactly 112 years after its creation, that’s probably what it was. The National Register of Historic Places Registration Form has fascinating factoids buried all through it. It was one of the last one-room school houses in the area, right up until it closed. It was unusual because of its racial and economic diversity. Enrollment included white children from well-established families, the district’s African-American students from as far back as 1889 or earlier and children from the County Poor Farm. Because of the need for children to work on family farms, the school term was usually only the three or four winter months. The current brick building was erected in 1880 for a low bid of $1,200. (Additions and changes brought the total to $1,600). The original log cabin school cost $180.25, including a $9.25 fireplace. After the new building was completed, the old one was sold to Henry Klaproth for $13. Electricity and lights were installed January 21, 1938, most likely as a result of a WPA project to upgrade schools. The school started serving hot lunches in 1933 once a week. 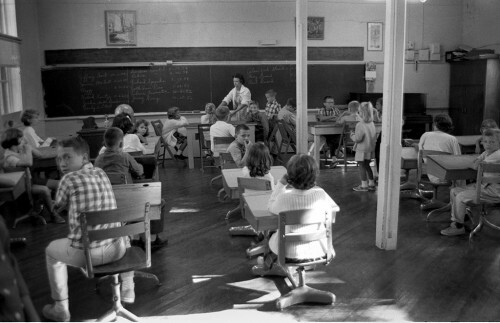 Later a makeshift cafeteria was created by erecting a partition in a back corner of the classroom. Times were tough and Kage was the first rural school in the area to serve a hot lunch. One thing the school DIDN’T have was indoor bathrooms. 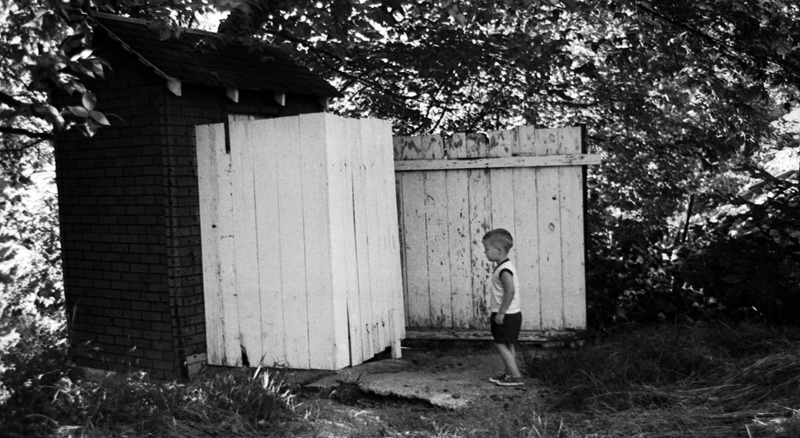 Outhouses were used until the school closed. Here’s what Kage School looks like today, including old initials carved into the brick walls. This is a particularly interesting post for me since I live less than a quarter mile from the old school house on Kage Road. I drive by the school everyday and must say that the building looks pretty bad. The yard is mowed every week in the summer, but it seems nothing is done to keep the building in proper repair. Thanks again, for the interesting pictures and information. 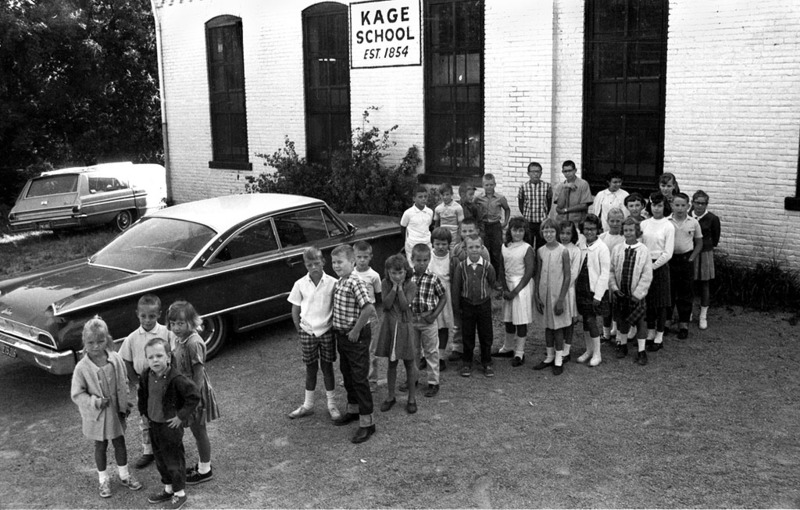 When I was in high school (’56 – ’60) Kage School was used at night as a great place to take a date and “park.” It was not as crowded as Cape Rock Drive or Capaha Park. Also, you could see the screen from the old Star Vue Drive-In Theater from there. Sorry to hear that the school is looking shabby. I didn’t realize I had these pictures when I was back home in October, so I didn’t shoot a new version. Funny, I never recall hearing anyone using Kage School for that purpose. You must have kept it a deep, dark secret. I thought about doing a Google Map with all the old parking places on it and then going back to see how many of them haven’t been covered with Wal-Marts and houses. Of course, I’ll need input from other Centralites because I certainly wouldn’t have done anything like that. Well, there was Twin Trees Park, Sherwood Park, Cherry Hill in Capaha Park, Cape Rock, and Three Mile Creek, Lover’s Lane off Bloomfield Street. Looks like I’m going to have to put this topic on my to-do list. I have a great Cherry Hill anecdote from when I was working the police beat at The Missourian. Where on Three Mile Creek? I can think of a couple of places. I’m trying to place Twin Trees and Sherwood Park. I got onto this site while reading the 1960’s Tigers Newsletter that my wife gets (Ruth Riehn Sander class of 1960) I attended Kage school for two years 1947-49 before transfering to the Campus school for my third grade year. I graduated from College High School in 1959. My brothers and sisters attended Kaqe through the 8th grade before attending and graduating from College High School. I will need to search the archives for any old pictures we may have. I have good memories of my time there, even though brief. I do remember the outhouse. It was where the boys got in trouble for bad aim, missing the target, and had to clean it. I recall a school trip to the St. Louis zoo when I was in the second grade. Some of you may know my sister, Martha Frances Sander Sanderson. She would have more stories of experiences there. My Mother and I were talking tonight trying to recall if we knew anyone who had gone to school there. If you got to this post, you must have seen the more recent one with the 2010 pictures, including the initials scratched in the bricks. 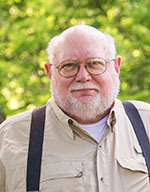 Hi Charles, I work for the Southeast Missourian (I swear I do–not a spammer :)) And am looking for people who went to Kage school to tell me some of their stories. Would you mind sending me an email and maybe I could call you? My email is smaue@semissourian.com. I sincerely hope you decide to reply! I’m so excited to learn more about Kage school. This is such an intriguing town and Missouri has such a fascinating history. Is Cape Girardeau , being in a borderline state, a town where there was segregation? It appears not so. Did the Jayhawk battles reckon in the upbringing of the 2 hatemongers from there, prominent and intelligent though they may be? I just saw “Mercine” the biopic about the French bank robber of the 60s. The only clue you get to how such a nice guy could become so crazy, so full of blood lust, is his accusation of his father, “You were a wimp. You worked for the Nazis and you never talk back to Mom. You have no honor.” I’m paraphrasing the actual words. It wasn’t all sweetness and light. When you head south out of Cape, you go down one last hill, called the Benton Hill. After that, you are in the South, in the sun-baked, cotton fields, segregationist attitudes South. I’m sure things are better today, but I remember reading a book that said that “Cape Girardeau is the last bastion of civilization before getting into the Bootheel.” The author was talking about attitudes, not geography. Cape Girardeau had a small, but relatively well-assimilated minority community. A fortuitous fire at the one of the city’s black schools moved up integration in town. The City Fathers saw it coming and decided that it would be foolish to spend the money on “separate but equal” facilities. My brother, 10 years younger, was light years ahead of me. Adults frequently practiced discrimination in ways that kids didn’t, classmate Gerald Love told me at this summer’s class reunion. I loved it except for the outside toilets. Our teacher was Ms Step. A wonderful teacher! Deborah, I am doing a report on Kage school. I was wondering if you knew anything about the initials that are carved into the south wall. I am so sorry I do not remember any initials on anything. I was a true dingy blonde and would not pay any attention to it. I was just at the school a couple weeks ago. Someone had busted in the back door. I went inside to see how it looks. It is disgusting. Dirty, books thrown all over the floor. Someone had stolen the book case and just threw the books every where. There are dirty dishes in the kitchen. The floor is caving in. I took bunch of pictures. I would post them if I knew how. It is sad that the city has not preserved this site. 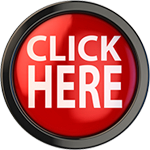 Hi Deborah, I work for the Southeast Missourian (I swear I do–not a spammer :)) And am looking for people who went to Kage school to tell me some of their stories. Especially hearing stories about attending school with your siblings and best friend. That would be so cool. I began going to Harmony School beginning January 1939. We began the day with the teacher reading the bible then we would say the Our Father. Mrs. Dillion the teacher would explain the meaning of the bible reading for that day. School started at 9 AM and finished at 4 PM it made for a long day. During the winter months we actually walked four miles to get home. If we walked through the woods and cow fields it was two and one half miles. If we use the paved road it was four miles. Our lunch break was one hour, the reason was to spend as much time as possible outdoors. We lived on a farm that was isolated tucked way back in the hills. Not another farm house near by. I wish the people i went to Harmony School with were still around. I lost track of everyone who attend Harmony School when I went there in 1939. I remember running into one when I was discharged from the Army in 1952. He was a pilot and flew war planes during the war in Korea, June 25, 1950 to sometime in 1953. One day his crashed and when I saw him at the end of 1953 he was injured for life. He drove a special fitted car, thank heavens he was able to get around. Harmony School was located in Hockessin, Delaware, it was located in strictly in farm country. Each week a family was responsible to bring hot food for dinner. The Depression was still on, and some students came to school bringing only a peanut butter and jelly sandwich. I’ll be back in Cape in just over a week. I’m anxious to see the work. So glad to hear Kage school is being worked on. I live in Texa so perhaps the next time I go back to visit Cape the school will be finished. Funny thing…I always stay at the Kage house condo when I visit..
I’ll make sure the owner knows that. Thanks. Jami. Hi Jami, I work for the Southeast Missourian (I swear I do–not a spammer :)) And am looking for people who went to Kage school to tell me some of their stories. I would love love love to talk to Saundra Ruebel. I sincerely hope you decide to reply! I love to visit and research historical sites in Southeast Missouri, so I was very happy to see that the Kage School was being restored; however, I was quite disappointed to see that it was being made into a home instead of restored back to a one-room school. Down in New Madrid they restored the Higgerson one-room school and it is an interesting and informative building to explore along with the Hunter-Dawson Home. Cape has several interesting historical buildings. A school would have made a nice addition to the collection. We appreciate all of the history and information shared about the Old Kage School. We purchased the property last year from Keith Deimund and began restoration of the school in the Spring. Due to the termite damage and damage from the elements (the roof leaked causing interior water damage), the school required major repair and renovations of both the interior and exterior. The building was very close to collapse and was on the endangered buildings list in Cape Girardeau.. The guidelines for the historical preservation application require the building to be an income producing property. Given this, we scratched our heads trying to figure out the best use of this wonderful property so others could enjoy the history and see the artifacts from the school. Given the extensive remodeling required and the location, we decided a Historic Kage School Guest Cottage would be a great way to allow visitors to Cape Girardeau to stay at the school. It will also be a great location for small group meetings and special occasions. Although the interior of the building was badly damaged, we were able to save the pine hardwood flooring, the original metal lights, book cases, bead board from the walls for the entry, and hundreds of other books and school artifacts. Many of these items have been incorporated into the new interior and will be there for future generations to see. The rehabilitation of the Kage School was a major endeavor which required much time, money and patience. We would invite anyone interested to come by and see the final results when you are in the area. Reservations to stay at the Historic Kage School Guest Cottage may be made by calling 800-270-7198. Hello! I recently bought an estate located on hopper road near kage school.I found many pictures of cape gir. and cape county. Some of Kage School. One of East Egypt School and one of Randol School. I don`t know where the latter two schools are located. Any info. will be apresciated. Tel. 573-382-2746. Someone else can probably give you a better answer, but Egypt Mills is located in Randol Township in Cape Girardeau county. I’m guessing your school is probably there. Ken – did you attend Kage school in the 50’s? There was a ken that lived across the street from us, We lived in the Jack Gray farmhouse and I may have attended with you. We moved to Calif in 1959 and back to Mo in 1974. I have been trying to remember some of the classmates names, having a school picture of all eight grades from 1958 or 1959. Some of the kids I went to school with were: Ruth Bush, Sandra Hoover, Gene and Dean Farrell, a Troy and a Ken is all I remember. Would love to reconnect. 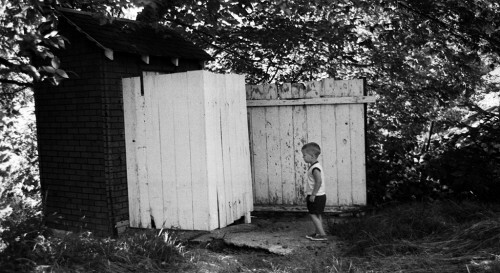 I sure remember those old outdoor johns. Looks like the old school has had a wonderful facelift! Wrong Ken. I attended Trinity Lutheran School in those days. We were blessed with indoor toilets. I started first grade at Kage School in the fall of 1950. I attended first, second, and third grade there. My sister Annette started first grade in the fall of 1952. We lived in a converted barn at what is today 719 West Highland Dr. off of old Hopper Rd. I remember David Hitt, Jerry “Jitterbug” Hitt, Pete Cambel(?) and his cousin Joe. I would like to see any class photos from 1950-1953. My father went to school there and lived just down Kage Road. He used to tell me he walked up hill both ways. I love that school house. It must be because I know that my father (my hero) as a young energetic boy, learned a lot of what he taught me in that one room. I guess I can almost feel him every time we drove by the little school as I pictured him walking up hill in the snow, both ways. He used to tell me stories of what it was like being taught in one room with every other grade. I wish he was still here to see it restored today.